A great executive gift. Why not make it a full set with a personalised pen or USB? 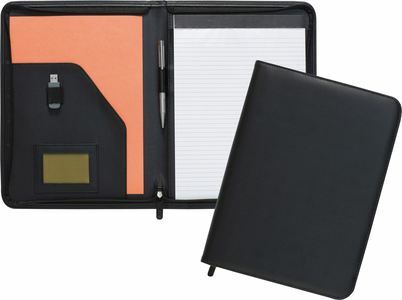 Zipped budget imitation leather A4 folder made from lightly grained REACH compliant* PVC. Comes with a USB holder & 20 page recycled paper notepad.